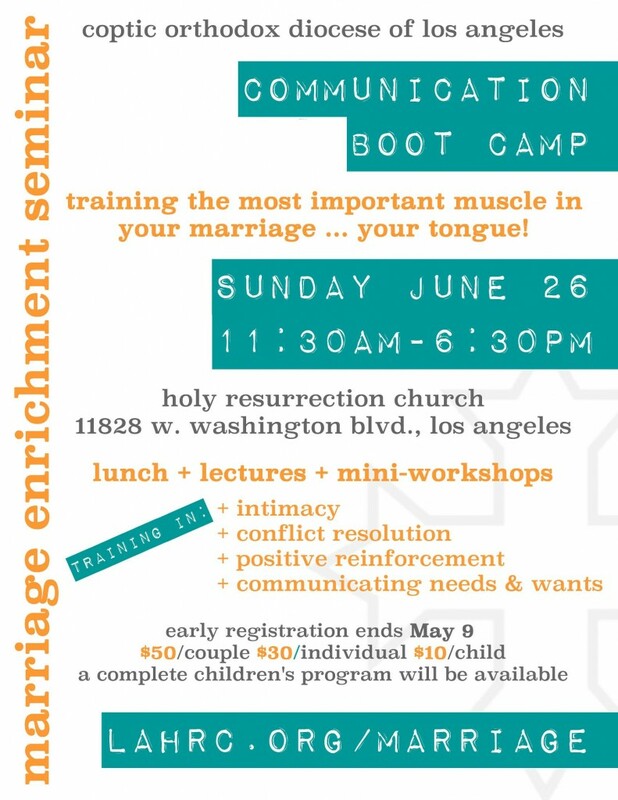 With great enthusiasm, the Diocese announces a marital enrichment event entitled ‘Communication Bootcamp’ on Sunday, June 26, 2016 at Holy Resurrection Coptic Orthodox Church in Los Angeles. All married couples are invited to attend. Lunch, valet parking, and a children’s program will be provided. You may register online at http://www.lahrc.org/marriage (early registration until May 9).